I wanted to use a RPi in my own arcade cabinet, but so far I have not found a viable way to make it drive a 15Hz arcade monitor. I could put a modern screen in the cabinet, but it just wouldn't be the same. Also in the spirit of the RPi's positioning as an educational tool, an interesting thing about MAME is that it's philosophy is *not* primarily to be a means of playing games for fun. Yes, it allows you to play the games, enjoy them (sometimes), and appreciate them as a historical artefact. 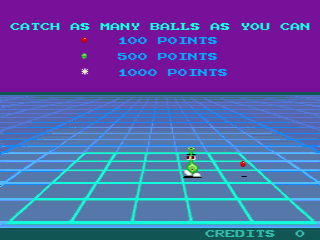 But also, the MAME source code serves as a record of how arcade hardware was designed. Other emulators are faster; where MAME developers have a choice between clear, portable code, and performance, they choose the former. That mini cabinet looks amazing! I don't know anything about arcade monitors, but there's a list of video modes the Pi supports and the codes for them here: http://elinux.org/RPiconfig. I can't see anything for a 15Hz monitor, though. You make a good point about the source code being a way to record how hardware was designed so the games can be preserved for the future and analysed now for educational purposes. As you say, MAME considers the ability to play to be a nice side effect of that. Very few users probably dig into the source code, but the point is that it's there for those that do, and these are the people who will ensure we can preserve these important cultural artefacts.